Aerialize: Sydney Aerial Theatre is Sydney's leading aerial and circus arts training centre and aerial performance group. Founded by Shelalagh McGovern and Aimee Thomas in 1999, Aerialize today offers expert tuition, performance opportunities and industry training to over 600 students and members. Aerialize students, who range in age from 5 to 50, attend Aerialize classes for a wide range of reasons - for fun, for exercise, to become professional performers, or just to try something different. 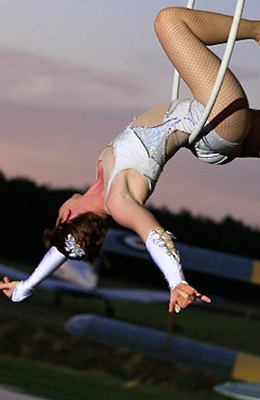 Under the guidance of talented Aerialize instructors, students will learn a variety of circus and aerial skills - for example trapeze, silks/tissu lyra/ring, Spanish web, acro-balance, acrobatics, hula hoops, juggling, Chinese Pole and contortion. There are four levels offered, so you can develop your performance skills at your own pace, as well as improve your flexibility and strength and eventually construct your own routines. There are classes specifically designed for kids, teens and adults, as well as private lessons and school holiday programs for kids and teens. There is also an annual Spring Show, so students can wow friends and family members. Term 4 will commence on October 15th and places are still available for Aerialize Beginner, Intermediate and Advanced classes. The class timetable can be found here. All classes are held in the new training space in Canterbury. For more information on Aerialize classes and training, as well as their community programs, please visit their website. Why? 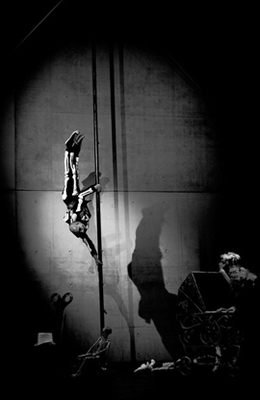 Sydney’s leading aerial and circus arts training centre and aerial performance group.